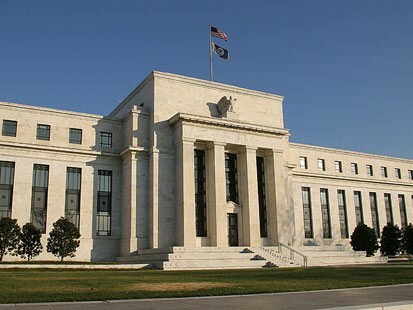 December 23rd marks the 100th anniversary of the Federal Reserve. Dissatisfaction with its track record has prompted calls to audit the Fed and end the Fed. At the least, Congress needs to amend the Fed, modifying the Federal Reserve Act to give the central bank the tools necessary to carry out its mandates. The Federal Reserve is the only central bank with a dual mandate. It is charged not only with maintaining low, stable inflation but with promoting maximum sustainable employment. Yet unemployment remains stubbornly high, despite four years of radical tinkering with interest rates and quantitative easing (creating money on the Fed’s books). After pushing interest rates as low as they can go, the Fed has admitted that it has run out of tools. At an IMF conference on November 8, 2013, former Treasury Secretary Larry Summers suggested that since near-zero interest rates were not adequately promoting people to borrow and spend, it might now be necessary to set interest at below zero. 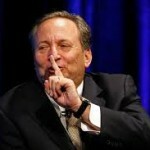 This idea was lauded and expanded upon by other ivory-tower inside-the-box thinkers, including Paul Krugman.
. . . Summers’ speech is a reminder to all liberals that he is a brilliant economist who grasps the long-term issues of monetary policy and would likely have made an exemplary Fed chair. All this is far from the helicopter drop proposed by Ben Bernanke in 2002 as a quick fix for deflation. He told the Japanese, “The U.S. government has a technology, called a printing press (or, today, its electronic equivalent), that allows it to produce as many U.S. dollars as it wishes at essentially no cost.” Later in the speech he discussed “a money-financed tax cut,” which he said was “essentially equivalent to Milton Friedman’s famous ‘helicopter drop’ of money.” Deflation could be cured, said Professor Friedman, simply by dropping money from helicopters. But there has been no cloudburst of money raining down on the people. The money has gotten only into the reserve accounts of banks. John Lounsbury, writing in Econintersect, observes that Friedman’s idea of a helicopter drop involved debt-free money printed by the government and landing in people’s bank accounts. The helicopters dropped all the money into a hole in the ground (excess reserve accounts) and very little made its way into the economy. It was essentially a rearrangement of the balance sheets of the creditor nation with little impact on the debtor nation.
. . . The fatal flaw of QE is that it delivers money to the accounts of the creditors and does nothing for the accounts of the debtors. Bad debts remain unserviced and the debt crisis continues. 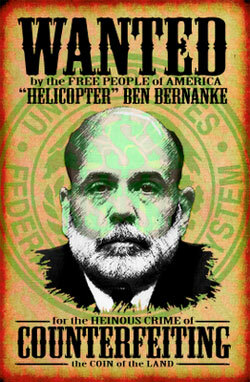 Bernanke delivered the money to the creditors because that was all the Federal Reserve Act allowed. If the Fed is to fulfill its mandate, it clearly needs more tools; and that means amending the Act. Harvard professor Ken Rogoff, who spoke at the November 2013 IMF conference before Larry Summers, suggested several possibilities; and one was to broaden access to the central bank, allowing anyone to have an ATM at the Fed. Rajiv Sethi, Barnard/Columbia Professor of Economics, expanded on this idea in a blog titled “The Payments System and Monetary Transmission.” He suggested making the Federal Reserve the repository for all deposit banking. This would make deposit insurance unnecessary; it would eliminate the need to impose higher capital requirements; and it would allow the Fed to implement monetary policy by targeting debtor rather than creditor balance sheets. Instead of returning its profits to the Treasury, the Fed could do a helicopter drop directly into consumer bank accounts, stimulating demand in the consumer economy. John Lounsbury expanded further on these ideas. He wrote in Econintersect that they would open a pathway for investment banking and depository banking to be separated from each other, analogous to that under Glass-Steagall. Banks would no longer be too big to fail, since they could fail without destroying the general payment system of the economy. Lounsbury said the central bank could operate as a true public bank and repository for all federal banking transactions, and it could operate in the mode of a postal savings system for the general populace. That sounds like a radical departure today, but the Fed has ventured into commercial banking before. In 1934, Section 13(b) was added to the Federal Reserve Act, authorizing the Fed to “make credit available for the purpose of supplying working capital to established industrial and commercial businesses.” This long-forgotten section was implemented and remained in effect for 24 years. In a 2002 article on the Minneapolis Fed’s website called “Lender of More Than Last Resort,” David Fettig noted that 13(b) allowed Federal Reserve banks to make loans directly to any established businesses in their districts, and to share in loans with private lending institutions if the latter assumed 20 percent of the risk. No limitation was placed on the amount of a single loan. 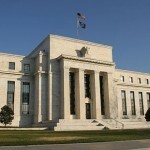 Fettig wrote that “the Fed was still less than 20 years old and many likely remembered the arguments put forth during the System’s founding, when some advocated that the discount window should be open to all comers, not just member banks.” In Australia and other countries, the central bank was then assuming commercial as well as central bank functions. Section 13(b) may be a memory, . . . but Section 13 paragraph 3 . . . is alive and well in the Federal Reserve Act. . . . [T]his amendment allows, “in unusual and exigent circumstances,” a Reserve bank to advance credit to individuals, partnerships and corporations that are not depository institutions. What programs have “broad-based eligibility” is not clear from a reading of the Section, but it isn’t individuals or local businesses. It also isn’t state and local governments. In 2009, President Obama proposed that the Fed extend its largess to the cash-strapped cities and states battered by the banking crisis. “Small businesses and state and local governments are having serious difficulty obtaining necessary financing from debt markets,” Obama said. 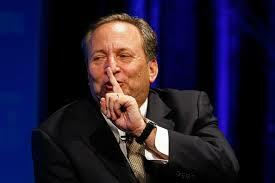 He proposed that the Fed buy municipal bonds to cut their rising borrowing costs. The proposed municipal bond facility would have been based on the Fed program to buy commercial paper, which had almost single-handedly propped up the market for short-term corporate borrowing. Investors welcomed the muni bond proposal as a first step toward supporting the market. 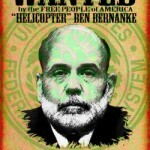 But Bernanke rejected the proposal. Why? It could hardly be argued that the Fed didn’t have the money. The collective budget deficit of the states for 2011 was projected at $140 billion, a drop in the bucket compared to the sums the Fed had managed to come up with to bail out the banks. According to data released in 2011, the central bank had provided roughly $3.3 trillion in liquidity and $9 trillion in short-term loans and other financial arrangements to banks, multinational corporations, and foreign financial institutions following the credit crisis of 2008. Later revelations pushed the sum up to $16 trillion or more. Bernanke’s reasoning in saying no to the muni bond facility was that he lacked the statutory tools.. The Fed is limited by statute to buying municipal government debt with maturities of six months or less that is directly backed by tax or other assured revenue, a form of debt that makes up less than 2% of the overall muni market. The Federal Reserve Act was drafted by bankers to create a banker’s bank that would serve their interests. It is their own private club, and its legal structure keeps all non-members out. A century after the Fed’s creation, a sober look at its history leads to the conclusion that it is a privately controlled institution whose corporate owners use it to direct our entire economy for their own ends, without democratic influence or accountability. Substantial changes are needed to transform the Fed, and these will only come with massive public pressure. Congress has the power to amend the Fed – just as it did in 1934, 1958 and 2010. For the central bank to satisfy its mandate to promote full employment and to become an institution that serves all the people, not just the 1%, the Fed needs fundamental reform. 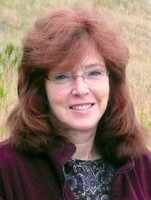 Ellen Brown is an attorney, president of the Public Banking Institute, and author of twelve books, including the best-selling Web of Debt. In The Public Bank Solution, her latest book, she explores successful public banking models historically and globally. 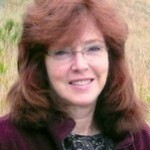 Her blog articles are at EllenBrown.com.